I am constantly looking for ways to use up ingredients as I really hate wasting food. Apricot jam is one of those things I use in very small quantities when baking, usually for glazing or sticking fondant to sponge, but I always have to buy a whole jar. 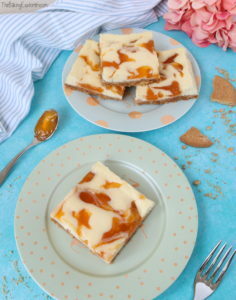 These Apricot Swirl Cheesecake Squares are a great way to use up about 3/4 of a jar of apricot (or any other flavour) jam! 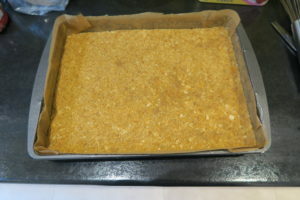 To make the base I used a food processor to make crumbs out of the digestive biscuits. I added the melted butter to the biscuit crumbs and mixed well. 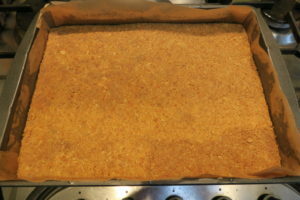 I pressed the mixture into a lined baking pan. It baked for 10 minutes. 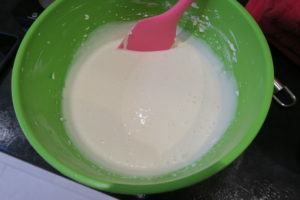 To make the filling I whisked together the cream cheese, caster sugar, eggs and vanilla until smooth. 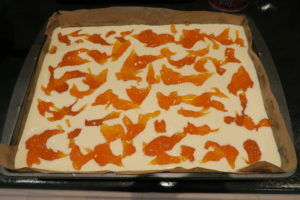 I poured the filling over the base, and then added blobs of apricot jam all over. I used a knife to swirl it around until a pretty pattern formed. 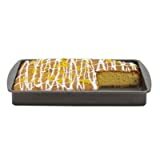 It baked for 30 minutes until it had set fully and only had a slight wobble. Once fully cool, I cut it into squares. 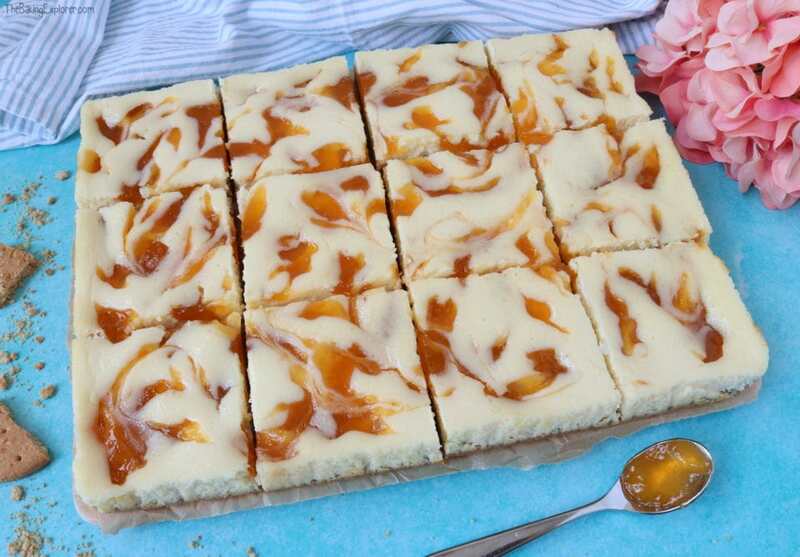 The Apricot Swirl Cheesecake Squares were so delicious! Everything came together really well, the crust and the filling were both really yummy and well balanced. I was really pleased. My boyfriend loved it as did my colleagues and friends. This is such a fantastic and delicious recipe for using up jam and I will definitely be making it again next time I have leftover apricot jam! I love apricot and this is a grey way to use up jam! 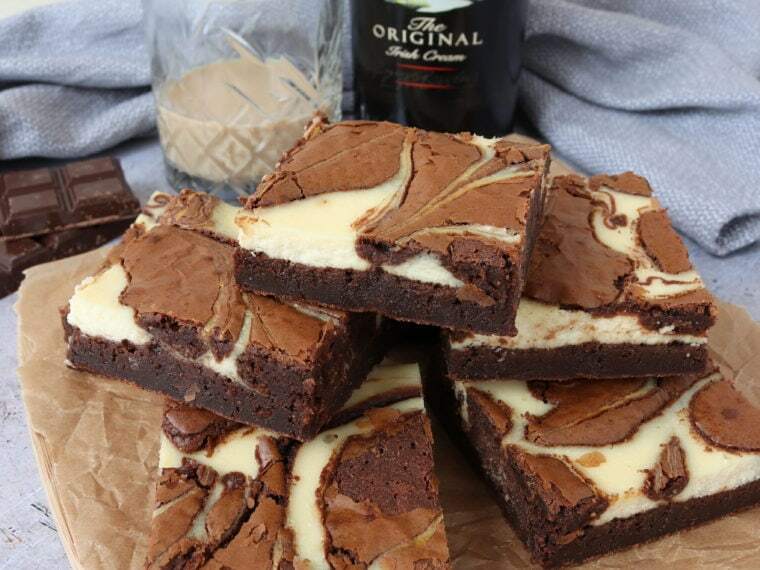 Cheese cake with swirls in adds an extra dimension and this sounds so delicious. Yum! Thanks Kate, I am always on the look out for recipes to use up jam!! 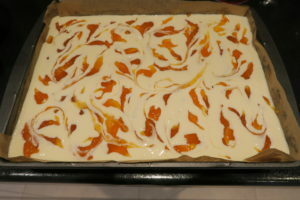 My husband loves apricots, and cheesecake – so I know this would go down really well in our home. Yum. Thanks Shaheen, I hope you try out the recipe! 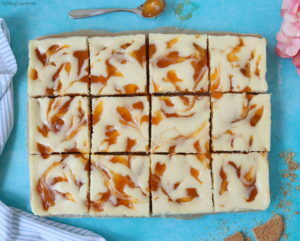 Oh wow these squares look so yummy! Oh how lovely! 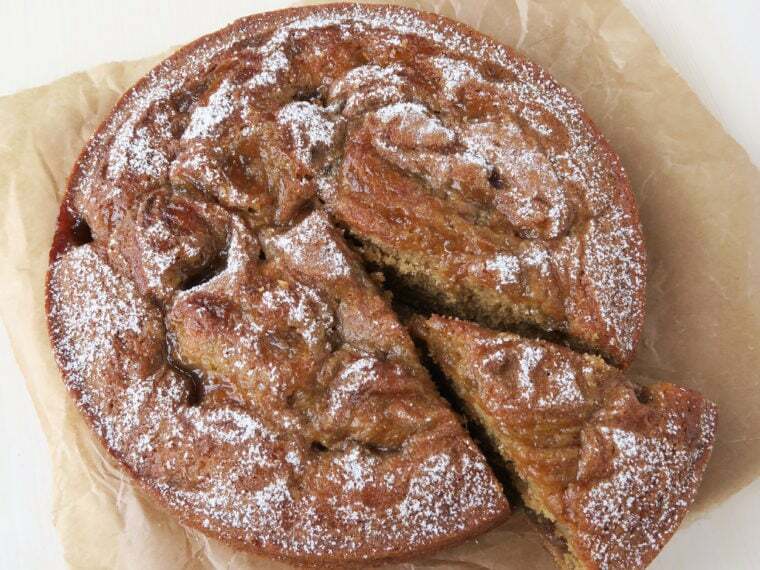 A super way to use up apricot jam! A super way to use up jam. If you think about it, it is pretty shocking that jam is cheaper than the fresh fruit.